Not many people know that McDonalds is allowed to use “Pink Slime” to fill in their hamburgers. 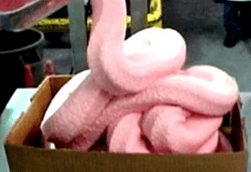 Even fewer people even know what “Pink Slime” is made of and where it comes from! Chemicals such as ammonium hydroxide were being used by McDonald’s to convert fatty beef offcuts into a beef filler for burgers. This is what it looks like…. The question is, why didn’t we know about this?! Think of the billions of adults and children that have been consuming ammonium hydroxide for decades! 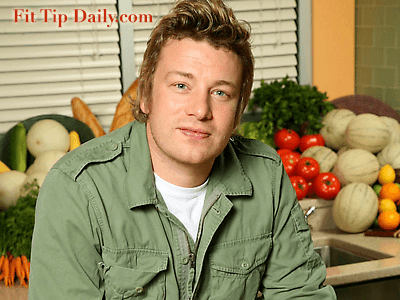 Jamie Oliver has been trying for years to get the ways of American food to change. He has made a name for himself by persuading one of the biggest fast food restaurants in the world to change their recipe for the better. McDonalds has removed the pink slime from their recipe in the U.S. ( it wasn’t allowed in the UK and in Ireland). US Department of Agriculture microbiologist Geral Zirnstein agreed with Jamie that ammonium hydroxide agent should be banned (source). McDonalds claims that Jamie Oliver had nothing to do with the removal of this product. However, the timing seems to be a little too closely related. Places like Burger King and Taco Bell had already removed the ammonia from their meat products. Another outstanding issue is more hidden. This slime is allowed in school food! Lets hope that the schools are close behind McDonalds and they also remove it.